In attending The Dance Factory dance studio/program, taking dance music or excercise classes and otherwise using the facilities and equipment therein, I do so at my own risk. I assume full responsibility for any injuries or damages which may occur to me in, on or about the dance studio/program. 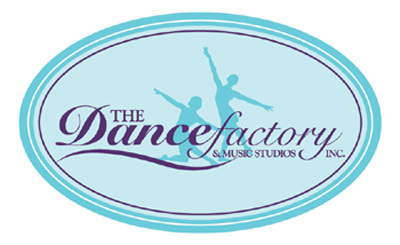 The Dance Factory shall not be liable for any damages arising from personal injuries incurred by me in, on or about the premises of The Dance Factory dance studio/program relative to my attendance at the dance studio, taking dance, music or exercise classes or otherwise using the facilities and equipment therin. I do hereby fully and forever release and discharge The Dance Factory, its shareholders, directors, officers, dance instructors, employees and agents from any and all claims, demands, damages, rights of action or causes of action, present or future, whether the same be known, anticipated or unanticipated, resulting from or arising out of my use of said The Dance Factory dance studio/program, dance classes, facilities and equipment thereof. I certify that I/my child is in good health and capable of participating in class and school activities. I understand that I am responsible for tuition payments as described. Automatic debit from credit/debit card or checking/savings account is the only accepted form of payment. Cash or check payments are not accepted. Registration is not valid if account information is not provided. Tuition is quoted on a monthly basis of 10 (10) equal monthly payments, September through June Tuition is due on the first day of each month. Tuition is non-refundable. If your payment is rejected for any reason, (ie. expired card, NSF, card lost) you will be charged a $25.00 service fee. It is your responsibility to notify the office if your card has expired, is lost,stolen or has fraudulant activity. I hereby give permission to The Dance Factory to take and use photographs for promotional use.